GUEST BLOG / Editors of Southern Living Magazine--Sweet tea is synonymous with Southern culture. When we order tea at a restaurant, we assume that the waiter will bring an ice-cold glass of sweet tea (maybe with lemon) that perfectly complements our meal. We serve tea at every Southern gathering, from funerals to baby showers to church potlucks. 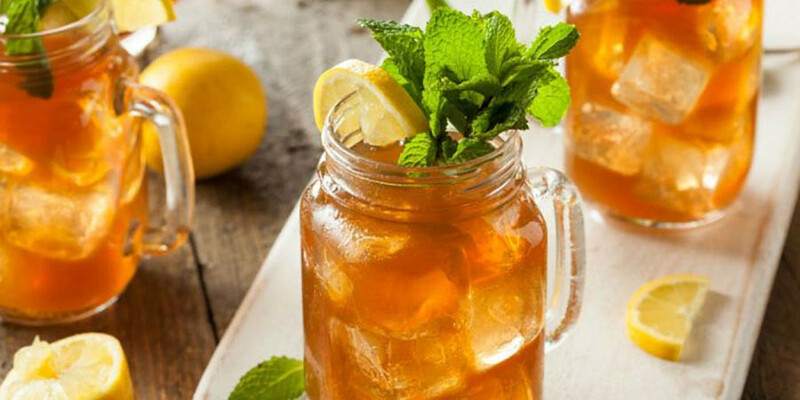 A pitcher of Southern sweet tea doesn't last long in the fridge – but with this recipe, you'll be able to replenish the supply in no time. Making sweet tea isn't difficult at all, but many Southerners argue about how much sugar you should include. When it comes to this Southern staple, we say the sweeter the better! This recipe from our Test Kitchen is one of our highest-rated recipes for good reason. Made with plenty of tea bags for a strong, steeped flavor, a simple syrup brings sweetness to this recipe without having to worry about loose sugar granules. One trick calls for adding a little baking soda to the tea removes any cloudiness and will give you a crystal-clear pitcher. --Place tea bags and baking soda in a large heatproof glass pitcher. --Bring water just to a rolling boil in a saucepan or kettle, and immediately pour over tea bags, making sure bags are submerged. --Add ice, and stir until ice melts. Stir in Simple Syrup, and serve in a glass or mug over ice.